Stewardship is a year round commitment, a response of thanksgiving for the many blessings that God has bestowed on us. 2018 – what a year it was! This time last year, we were reviewing the pledges that were received, and feeling grateful for what the congregation was going to entrust to us as stewards of your labor and love. We absolutely did have a sense of gratitude and appreciation, but truth be told, there was also a sense of “worry” and anxiety”, as it became apparent that we were looking at a deficit budget. It is not my role/responsibility to present all of the financial numbers, but instead to talk about how we decided to approach Stewardship (“Sacred Giving”) this past year. I think the “big” ticket items that we felt should receive our attention were continued education, encouraging ourselves to take a look at why we call St. Christopher’s our church family; why we come to Worship here, week after week; what we are called as Christians to do; how we could each grow in our investments to our church; to — how to grow our church family; how to reach the unchurched; how to grow our ministries and mission outside of our church walls; and how to spread the good news and grow the Kingdom. We felt it important for us all to contemplate the “why” and “how” our financial support of St. Christopher’s was intertwined with ALL of the aforementioned. In addition to emphasizing the foundational mindset that when we give, we are giving back to the glory of God, because He has blessed us to be able to do so, and because everything has come from Him. We held 2 parish forums this year – on 2 Sundays where we had one combined worship service, and then time for small and/or large group discussions. The point of these: to continue to educate ourselves – to facilitate conversations that would broaden our perspectives and allow us to reflect (on everything mentioned in the above paragraph). The goal was also for these discussions to bring forth unifying dynamics, allowing us to feel even more connected to one another as a church family, and vital to the Body of Christ that we are. We are also trying to reinforce that just as equally important, if not more so, to our financial contributions (great and small), are the “time and talent” that we each offer. Efforts were made to explore and highlight that each of us has a gift (or gifts) that are imperative to our church family. 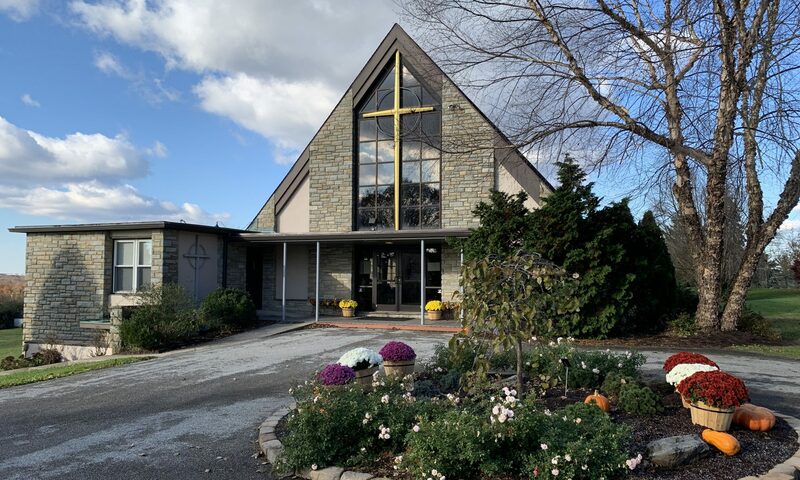 We believe that contained within our congregation and those who are a part of the St. Christopher’s Church family is everything we need to worship in beauty, along with the varied gifts that are needed to fulfill our mission and vision statements. And, of course, we “kicked off” our Stewardship Campaign for 2019. It was a successful and productive year, to say the least – we have much to be proud of, much to be thankful to God for, much growth took place, and there’s much to look forward to! We are making remarkable strides in our journey. There is always “work” to do, and we should always be striving to make more progress. But, in the meantime, let’s take a minute to humbly thank God for what has been accomplished, how He is moving and working within these church walls and beyond, and let’s prayerfully turn to Him to continue to guide and lead our path, in 2019 and beyond.